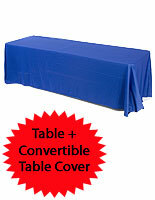 This Economy Table Skirt for Use at Large Scale Events Ships Fast! 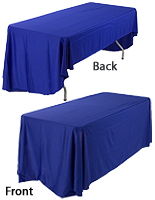 Select the Perfect Color for Your Covers and Throws, so Your Display Looks Professional! Buy an Ornate Table Skirt Now and Save! 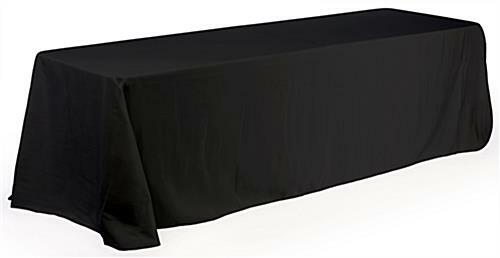 Complete your trade show booth with a handy supply, like this table skirt and folding surface that can be used by staff members or attendees. This banquet equipment is made from a plastic molding, for a durable, yet contemporary design to be used in any environment. 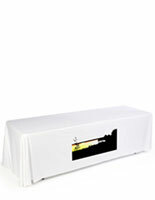 The molded tabletop is made of strong and durable polyethylene. 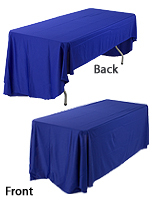 This foldable table skirt surface is supported by durable steel legs with a powder-coated grey finish. 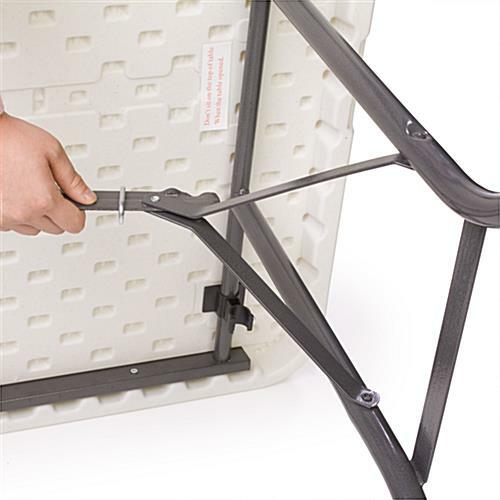 When the furniture is fully set up, the folding metal legs lock firmly into place for stability. The steel legs also feature mar-proof plastic foot caps to prevent the table from leaving scratches to the floor. 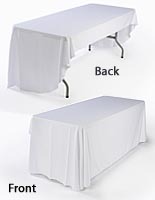 This table skirt, also known as trade show display, is one of the most popular accessories used for special events and receptions. 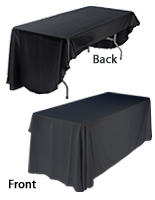 The black, polyester tablecloth dresses up the furniture, which makes it look attractive and appealing to passersby. 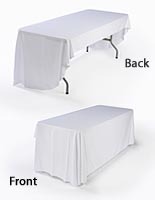 Each table skirt covers three sides of the table, front and sides. The back of this table is left open for staff members to sit behind and store additional supplies. Let the corner drapes flow naturally to make the table skirt look presentable. 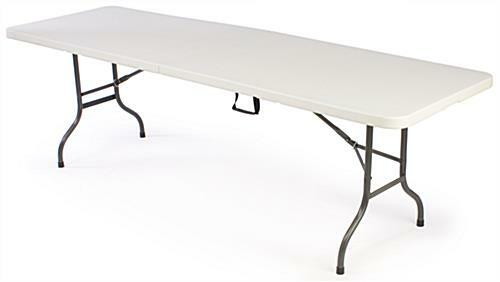 The folding tables are designed to be easy for one person to handle. 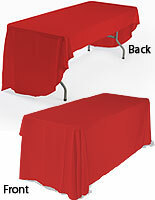 Instead of wasting money renting trade show supplies, buy this table skirt at a low, wholesale price.